A very merry Christmas to you! Hope all is well, and see you in a few weeks! 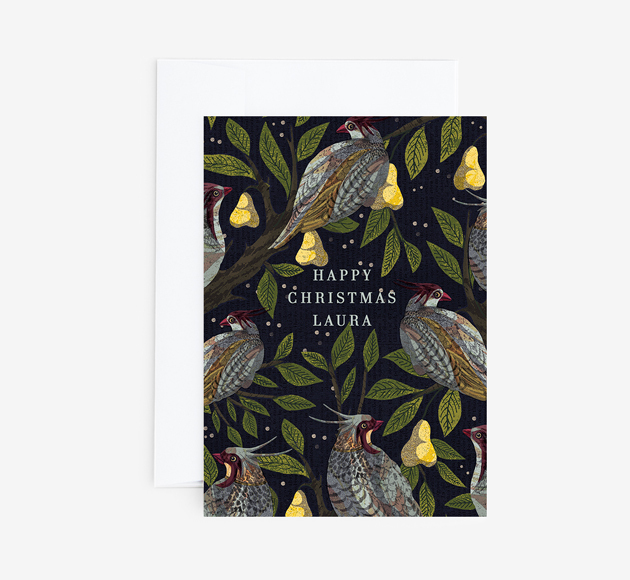 Elen’s elegant design makes the perfect classy christmas card for the classy ladies in your life. Personalise the inside with a lovely festive message to make it that little bit more special. If you would like to leave the inside blank select the Quick View option on the card listing page, then click Quick Buy. This is only available on cards where there is no text to edit on the outside. We print on a variety of luxury uncoated paper stocks including 325gsm Mohawk Superfine i-Tone eggshell. 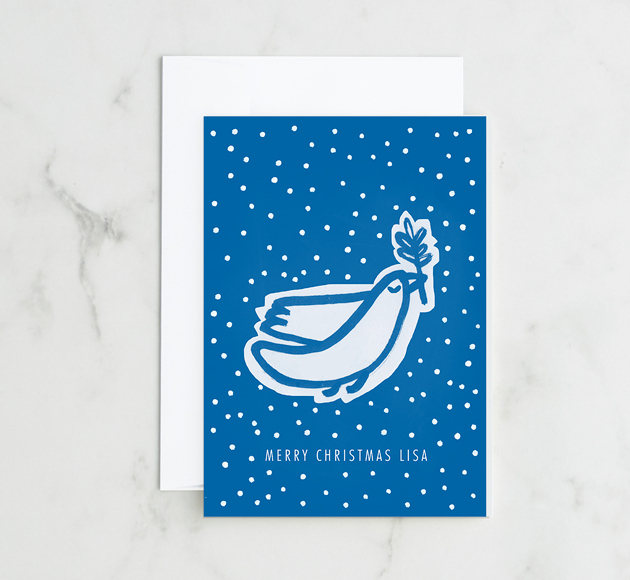 We can either send cards directly to the recipient, or to the sender, with a spare envelope included. We use Royal Mail 1st Class for our card deliveries. Any order placed before noon Monday to Friday will be sent on a next day service, arriving in 95% of cases. We recommend leaving an extra day prior to your desired delivery date. Any orders placed after noon on Friday, over the weekend and before noon on Monday will be printed with a Tuesday delivery date in mind. We charge the Royal Mail 1st Class shipping rate of £0.67 for standard sized cards. Each additional card sent to the same address is charged at £0.30 for postage and handling. Do you want to write the card yourself? Click below to remove all text from this side. Your unique customised card design will be ready within a moment. Your shopping cart is empty. 0 items in 0 packages. It seems that your cart is currently empty. Why don’t you check our some of our most popular gift ideas, design your own personalised cards or choose from our pre-curated gift boxes? 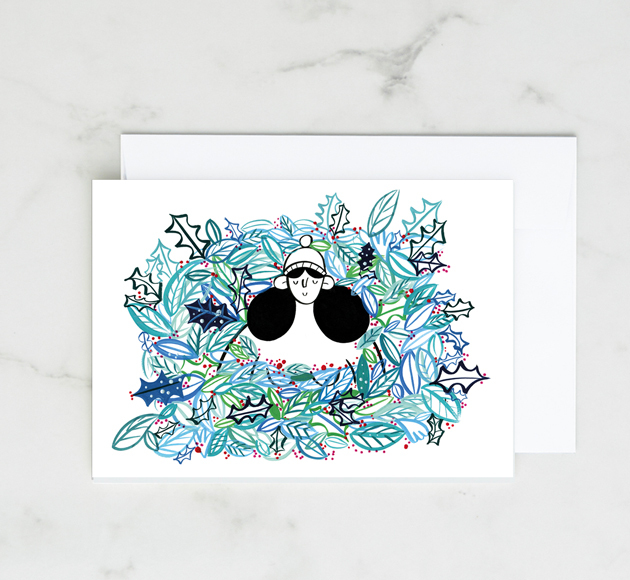 Want to send cards and/or gifts to someone else? Be the first to hear about our newest designer collaborations, exclusive promotions and seasonal offers. Please enter the e-mail address associated with your account and we will send you a link to reset your password.